The treaty signed in Brussels on 15 December granting the International Commission on Missing Persons a new legal basis for global operations “reflects an emerging international recognition of the scale and seriousness of the missing persons problem – and the urgent need to address this problem in a new way,” ICMP Commissioner Knut Vollebæk wrote in a column which appeared in the Norwgian daily newspaper Vårt Land today. The fact that more than 70 percent of those who went missing during the conflicts in former Yugoslavia have been accounted for shows willingness and determination on the part of countries in the Western Balkans to resolve the missing persons issue, a report issued today concludes. The Regional Assessment Report on the Process of Resolving the Missing Persons Issue is published by the Regional Coordination of Family Associations of Missing from Former Yugoslavia, which comprises family associations from countries in the region. Ms Bomberger was joined at ICMP headquarters in Sarajevo joined by Dutch Ambassador Jurriaan Kraak (also representing Luxembourg), UK Ambassador Edward Ferguson, Swedish Ambassador Fredrik Schiller and Mr. Jean-Pierre Biebuyck representing Belgium, at a press conference explaining the significance of the treaty, which was signed in Brussels on Monday. 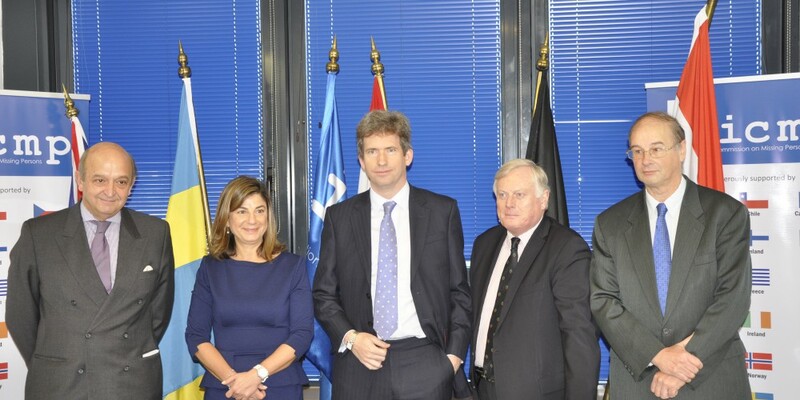 The International Commission on Missing Persons, which has been working globally since 2003, will be able to intensify and expand its international operations following the signing of an ICMP treaty by the foreign ministers of the Netherlands, the UK, Sweden, Belgium and Luxembourg, ICMP Director General Kathryne Bomberger said today. Ms Bomberger was joined at ICMP headquarters in Sarajevo by Dutch Ambassador Jurriaan Kraak (also representing Luxembourg), UK Ambassador Edward Ferguson, Swedish Ambassador Fredrik Schiller and Mr. Jean-Pierre Biebuyck representing Belgium, at a press conference to explain the significance of the treaty, which was signed in Brussels on Monday. The International Commission on Missing Persons (ICMP) was established in 1996 at a G7 Summit in Lyon, France, to secure the co-operation of governments and other authorities in locating and identifying persons missing as a result of the armed conflicts in the former Yugoslavia. The approach of working together with governments and other authorities, including courts and prosecutors, as well as ensuring the engagement of civil society, has proven to be highly effective. Today, over 70% of those reported missing have been accounted for from the conflicts in the Western Balkans. ICMP’s mandate and activities were expanded in 2003 to enable the organization to work globally and to respond to cases of manmade and natural disasters. Subsequently, since 2004, ICMP has assisted countries around the world in addressing missing persons cases from conflict, human rights abuses, manmade and natural disasters, organized crime, human trafficking, migration and other causes. Desde México a Siria, una epidemia de casos de personas desaparecidas. 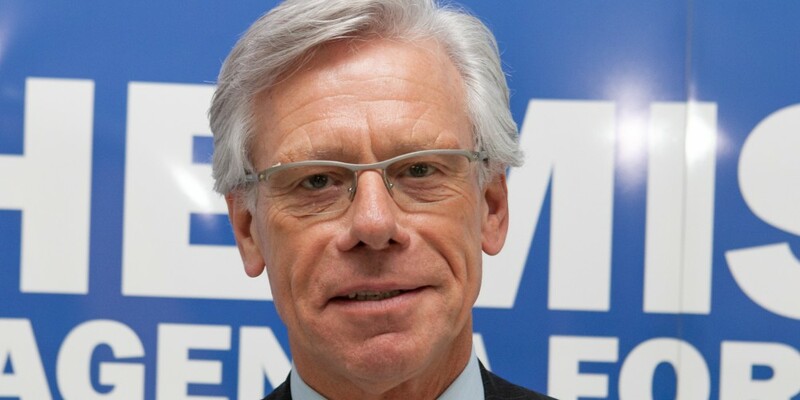 Los gobiernos toman iniciativa para abordar el problema global, firmando el tratado de ICMP. 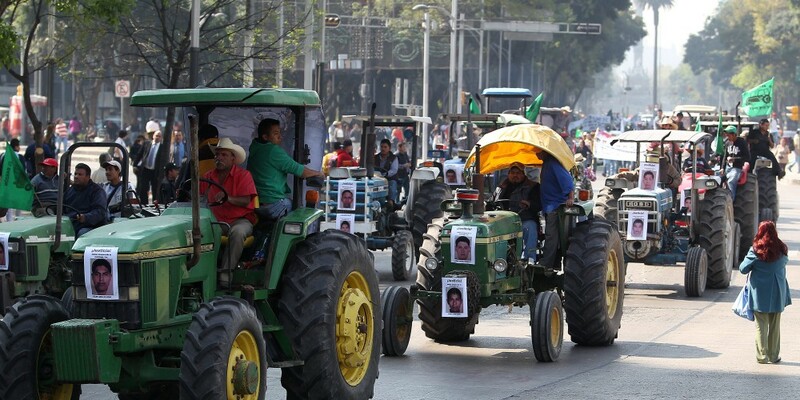 The case of the 43 abducted Mexican students has drawn the world’s attention to the issue of enforced disappearances. Yet the Mexican case is no more than a microcosm of a global problem – an epidemic of missing persons has arisen from the conflicts in Syria and Iraq, from the effects of migration in Asia and the Americas, and from the continuing political and social upheavals across Africa, to cite just a few instances. This is a global problem and it demands a global response. 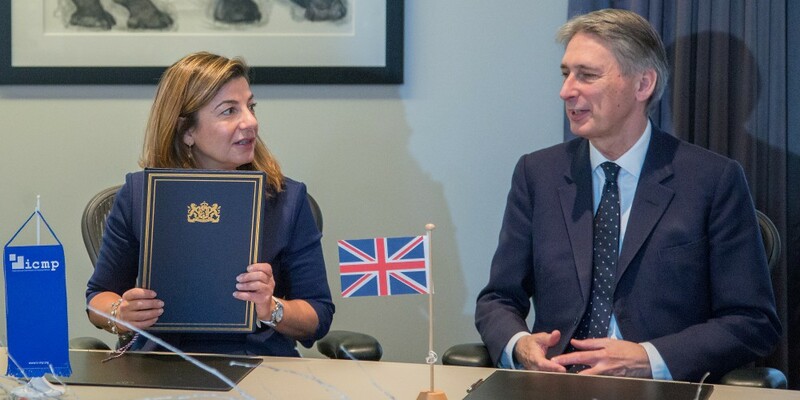 Part of this global response was put in place on 15 December in the form of an international agreement signed in Brussels by the foreign ministers of the Netherlands, the United Kingdom, Belgium, Luxembourg and Sweden. The Agreement establishes the International Commission on Missing Persons (ICMP) as a treaty-based international organization in its own right with its own structure of governance and international capacities. 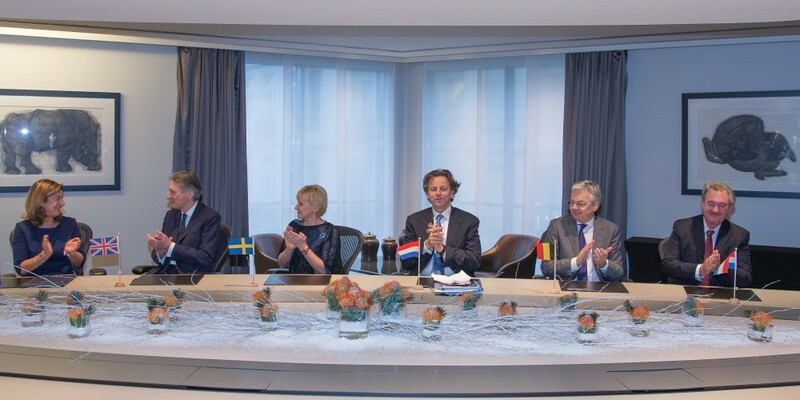 The Foreign Ministers of the Netherlands, the United Kingdom, Sweden, Belgium, and Luxembourg signed a Framework Agreement on 15 December that grants a new legal status to the International Commission on Missing Persons (ICMP). Resolving missing persons cases in Bosnia and Herzegovina – even after two decades – is a central and indispensable element in establishing a just and sustainable society, participants at an International Human Rights Day demonstration on behalf of the Missing said. 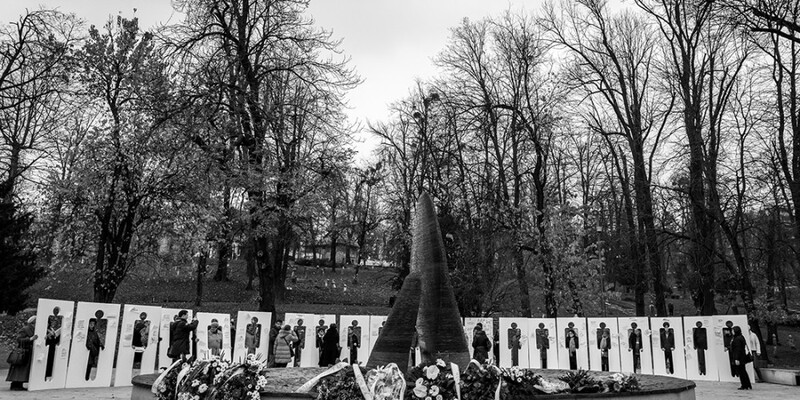 The Forum on Joint Memorialization of Missing Persons, which brings together representatives of Family Associations and other activists from across Bosnia and Herzegovina, organized a “silhouette of missing persons” event in Sarajevo on 10 December. Members of the Syrian Commission for Transitional Justice (SCTJ) this week visited ICMP’s headquarters in Sarajevo, the Podrinje Identification Project and ICMP Identification Coordination Division in Tuzla, and the Potocari Memorial Center in Srebrenica. During the 2-5 December visit to Bosnia and Herzegovina, SCTJ members were briefed by ICMP Director-General Kathryne Bomberger and other ICMP staff members, on the institutional, legal, technical and civil society aspects of the missing persons issue in different parts of the world. 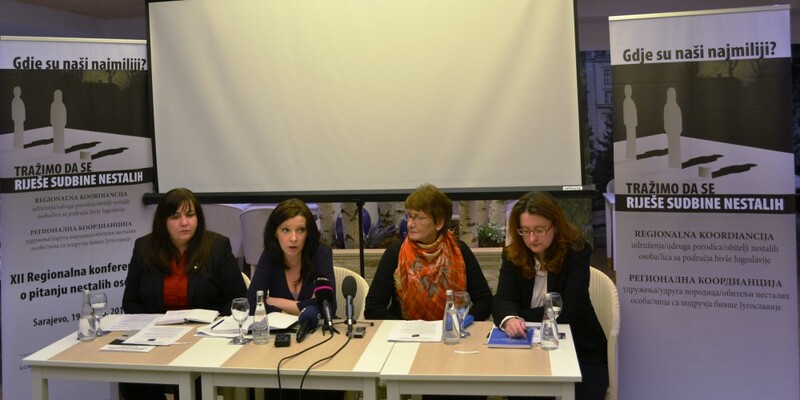 They also met with a range of BiH civil society groups active in the search for missing persons. 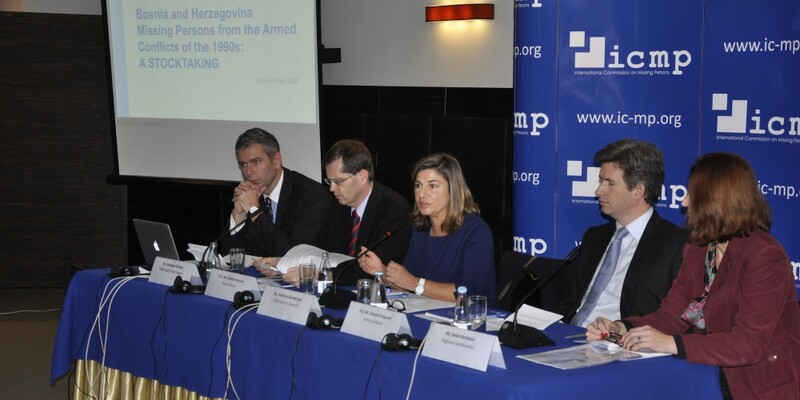 A successful combination of civil society engagement, institutional development and scientific innovation has made it possible to account for more than 70 percent of the missing from the conflict in Bosnia and Herzegovina, ICMP Director-General Kathryne Bomberger said at the December launch of Bosnia and Herzegovina, Missing Persons from the Armed Conflict of the 1990s: A Stocktaking. The book-length ICMP report brings together in a single, detailed and systematic narrative all of the available information on missing persons in Bosnia and Herzegovina, providing documentary information on the search for the missing in every part of the country. At the end of November the International Commission on Missing Persons (ICMP) provided a final report to the Committee on Missing Persons in Cyprus (CMP), detailing the outcome of their two-year partnership to establish an effective DNA identification system to resolve the fate of persons who went missing during the conflicts in the years 1963-1964 and 1974 in Cyprus. 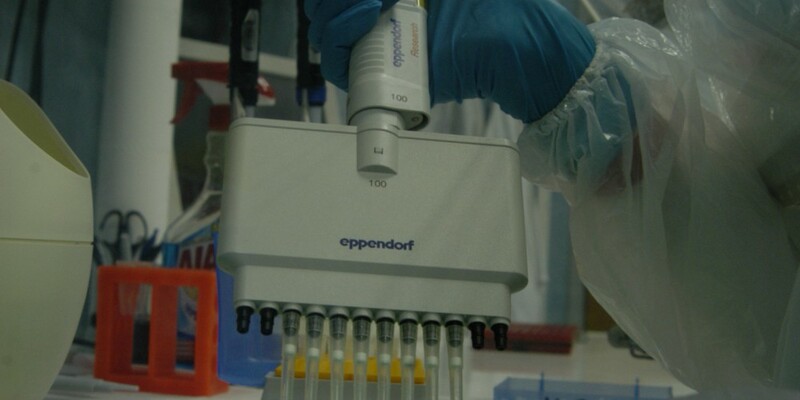 The collaboration between ICMP and the Cyprus CMP was established to provide for DNA testing from unidentified skeletal remains, and to perform advanced DNA matching between the resulting new DNA profiles and the DNA profiles of family members of the missing. The family reference DNA database to be used for comparison was provided in anonymous form from samples that had previously been collected and tested in Cyprus. The computerized DNA family matching procedure was done at ICMP in a blind manner, fostering both objectivity and the principle of personal data protection.